Ok, so not that fierce perhaps, but a strong look all the same from this young Sámi woman from Jokkmokk in northern Sweden, to celebrate the recent summer solstice. Midsummer is understandably a big deal in Scandinavia, where long, light summers make up for equally long, dark winters. Sweden in particular is well known for its solstice celebrations, which typically involve a lot of folk dancing in traditional costume, quantities of strawberry meringue cake, and customs like the one above, where a young woman will pick seven different flowers to place under her pillow on Midsummer night and dream of her lover. Of Finno-Ugric origin, the Sámi are the only formally recognised indigenous people of Scandinavia, occupying parts of northern Norway, Sweden, Finland and western Russia known collectively as Sápmi. Though best known for subsistence by reindeer herding, they also practice fishing, fur trapping and sheep herding. Known as duodji, crafts are central to Sámi culture, as is gákti, their traditional costume in which pattern and colour vary according to the wearer's origin, marital status and even family. Consisting largely of wool felt, fur and cotton, the most typical colours used are strong reds, blues, yellows, greens and white. Most gákti are heavily decorated with embroidery, ribbons and pleating, and the most distinctive items are their ornately embellished and strikingly shaped gloves, hats and boots. At the other end of the seasonal spectrum, Jokkmokk is known for hosting a 400-year-old annual winter festival involving traditional dance, food and reindeer races. This week features our first professionally fierce Fridayer, this very put-together Samburu warrior photographed by Johan Gerrits. The Samburu live semi-nomadically in north-central Kenya, raising principally cattle but also sheep, goats and camels. Their name comes from the Maasai word 'samburr', referring to the ubiquitous leather bag used by the Samburu; though closely related both ethnically and linguistically to the Maasai, their own word for themselves is Lokop or Loikop and its meaning is disputed among them. Samburu culture is a gerontocracy, meaning that elders rule. After a boy's circumcision ritual at around 14 years, he becomes a junior moran or warrior for seven years. Following an elaborate, mass graduation ceremony, he spends a further six years as a senior moran, before becoming an elder and being allowed to marry. The Samburu are also called the Butterfly People by neighbouring groups, for the colourful cloth with which they wrap themselves. They are well known for their intricately beaded adornments, including colossally layered collars which play a rhythmic role in traditional dances (see video above). Rebecca Lolosoli is a Samburu woman renowned for her work towards women's rights in her community. In 1990 she registered the Umoja Uaso Women's Group to create employment for women who had been abused or mistreated, through sales of beadwork and other goods. Following threats from men, she established Umoja, a women-only village to house these women. Banner image by Eric Lafforgue/Getty Images. I'm very excited to have recently discovered the existence of Thread Caravan, a new company based in the United States that offers travel packages centred on art workshops around the world. Their current tour is Hilo Colectivo (Thread Collective), a week-long trip to Guatemala's Lake Atitlan to visit and learn from artisans of Maya Traditions Foundation, which promotes traditional crafts, in particular weaving, by supporting artisans and connecting them with international Fair Trade business opportunities. There is one tour in August and one in October. Hilo Colectivo includes a comprehensive introduction to Mayan backstrap weaving, from dyeing to spinning to working on the loom. 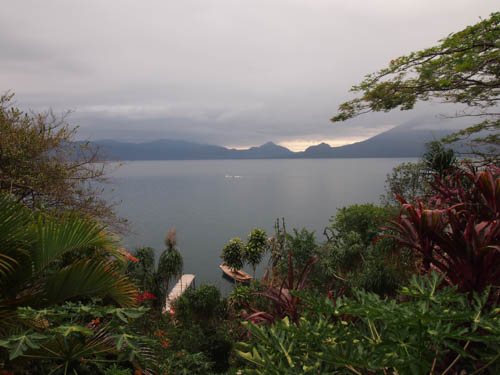 It also takes in surrounding sights including the colonial town of Antigua, and optional excursions to Volcano Pacaya or the Mayan Iximche ruins. Participants stay at the lovely-looking Pamakanya Villa. You can find out more at www.threadcaravan.com and follow Thread Caravan on Instagram. All images from Thread Caravan's website. It's party up top for this week's Fierce Fridayer, a Khampa nomad from between Litang and Xiangcheng in China's Sichuan province. Khampas are so named for their homeland, the historical region of Kham which takes in large parts of the Tibet Autonomous Region and Sichuan province, as well as smaller areas of Qinghai, Gansu and Yunnan provinces. Though usually designated as part of the 'Tibetan Nation' ethnic group, the Kham region alone is home to 14 groups culturally and linguistically distinct from one another and from the wider classification. Khampas are nomads and usually herders, and are reputed to be warriors as well as accomplished horsemen. 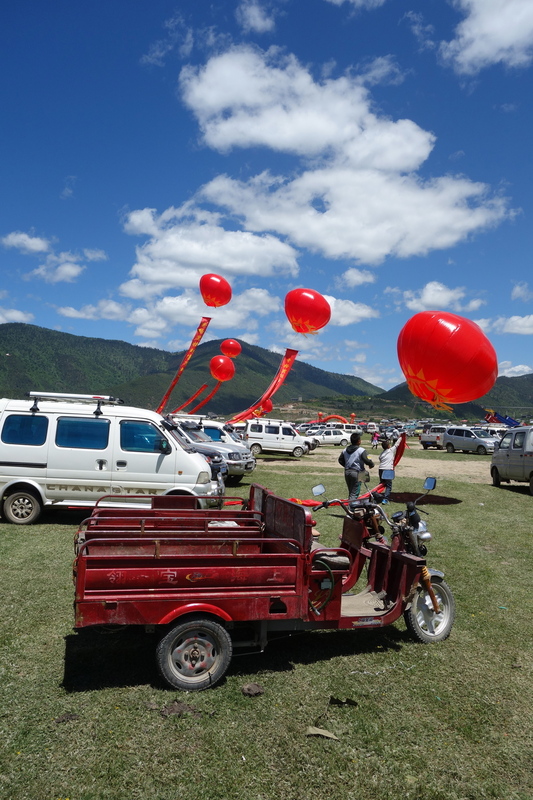 This latter skill is celebrated each summer with horse racing festivals across the Tibetan plateau, including a prominent one in Litang, Sichuan province. Given the isolated nature of many Khampas' lifestyles, these festivals are an important means of maintaining cultural continuity and of establishing a socio-economic hierarchy among the group. Increasing tourism around the festivals is also an important income source for many Khampas. I was lucky enough to attend such a race outside Zhongdian one summer a couple of years ago, and I will never forget the feeling of being so immersed in an event central to another culture. Above are some images from that festival. My grandmother certainly doesn't look like this, but I'm glad somebody's does. This most excellent older lady is of the Dayak Kenyah tribe from Kalimantan — the Indonesian part of the island of Borneo. 'Dayak' is really a loose umbrella term imposed by Europeans to describe over 200 groups indigenous to Borneo and sharing certain distinguishing cultural traits. 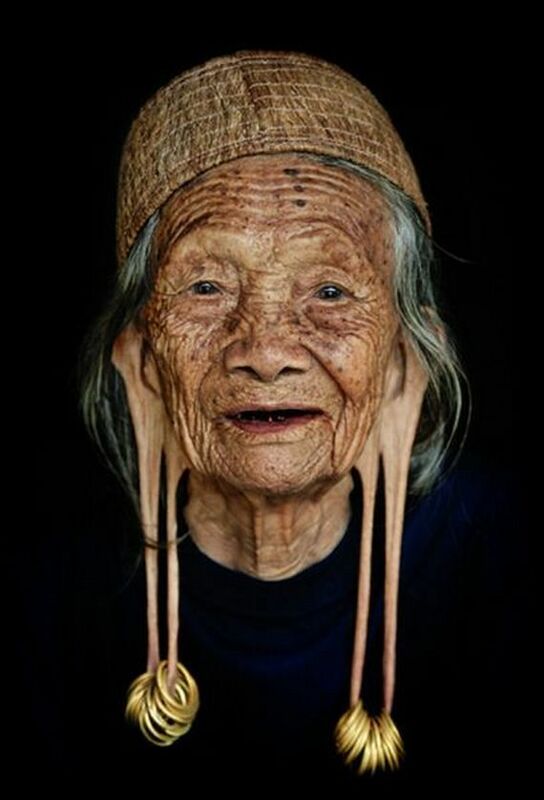 This woman's drastically elongated earlobes mark her out as a highly respected elder, though the practice of weighting earlobes to achieve this effect is waning among younger Dayak. It has been said that the practice, begun when a child is very young, originated to better distinguish humans from monkeys, thus it was often confined to Dayak nobility, and was considered an important element of beauty in women; the style of jewellery worn could also indicate its wearer's rank. The Dayak are known to file their teeth to points and traditional tattooing is extensive, the three most common types covering the feet, hands and thighs. These indicate both nobility and maturity and are also thought to 'light' the way to immortality, thus the greater the number worn, the better the way will be lit for their wearer; the Dayak Kenyah, of East Kalimantan, used to follow animist beliefs before a mass conversion to Christianity in the 19th century. Other Dayak female attire includes a short woven cloth attached with coins and bells at the bottom end, a rattan or brass ring corset, long scarf or beaded top cover, high silver comb, bracelets on the upper and lower arms, and buah pauh 'fruits on hand'. Over 170 languages are spoken by the Dayak, but as these die out, so much of the knowledge specific to this culture dies with them. Image by Tuwing Tahkang on Flickr. 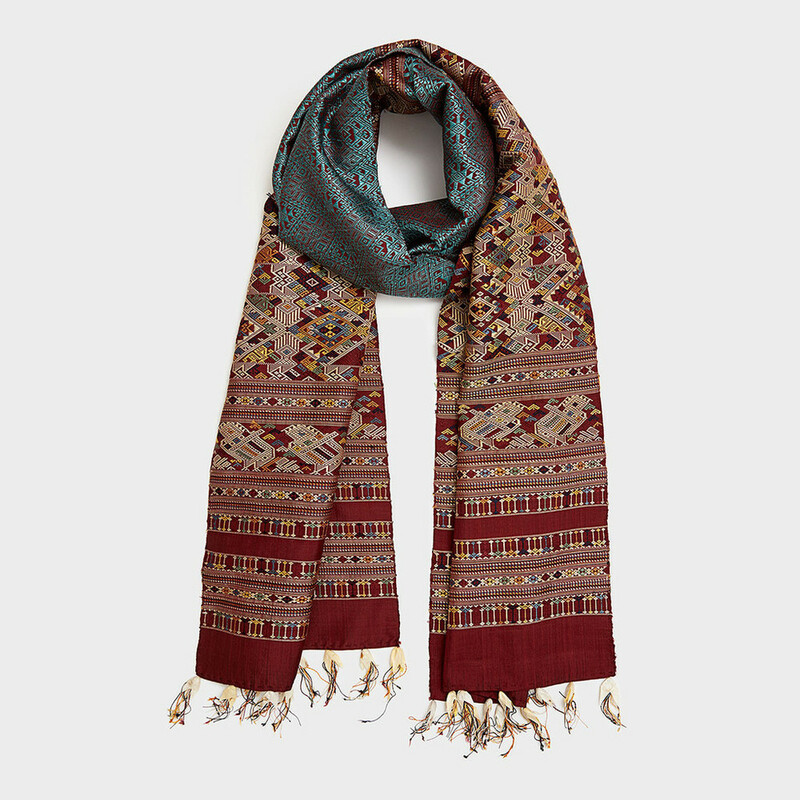 With their combinations of rich colours, lustrous materials, intricate geometric patterning and the extraordinary skill required to make them, I've never met a traditional Lao textile I didn't like. So it is wonderful to see these techniques being revived and brought to an international market after decades of abandonment, and four companies doing just this with aplomb are Ock Pop Tok, Mulberries, Above the Fray and Laos Essential Artistry (Got Laos). 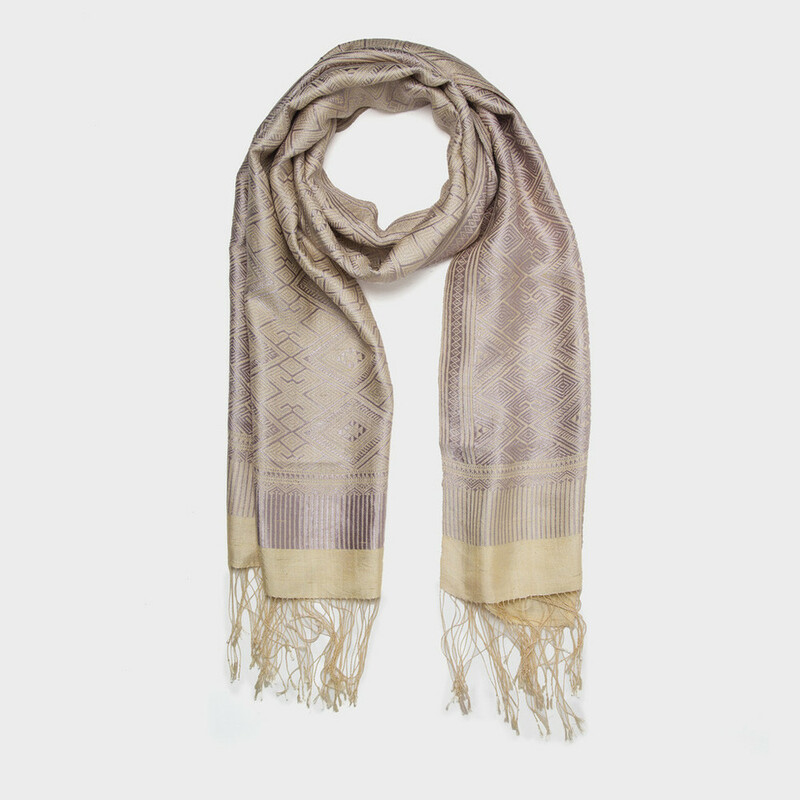 All four work closely with weavers from across the region's ethnic groups to bring the craft out of the domestic sphere and into the international marketplace as a means both of sustaining the many ancient techniques involved in Lao textile production, and of promoting Lao cultural and economic revival. The results of such a depth of tradition, technique and refined aesthetic combined with modern sensibilities are truly stunning and speak for themselves! Ock Pop Tok is available to buy from their online market. Mulberries is available at DARA Artisans and through their own website. Above the Fray is available at DARA Artisans and through their own website. Laos Essential Artistry is available at DARA Artisans and from their website. 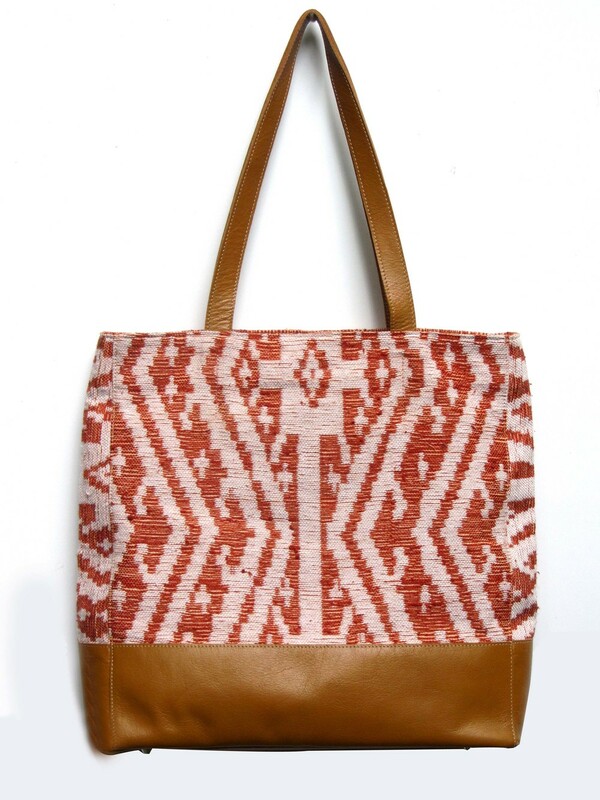 DARA Artisans also carries an exclusive line of Lao textiles and offers this beautiful lookbook for more inspiration. All images courtesy of websites mentioned. And we're back. This week's choice of strong look is inspired by two weeks' travel through the Oregon and California wilderness and specifically, a stay at the Historic Requa Inn, at the mouth of the Klamath River on the far northern California coast. The surrounding land was the traditional home of the Yurok Indian people and the Inn itself stands within what is now the Yurok Indian Reservation. It is run by Jan Wortman, a woman of Yurok ancestry who grew up on the Reservation. The principal currency of the Yurok was the Dentalium mollusk shell, and multiple long strands of these are worn by the woman above to display her wealth and as a form of adornment. Basket weaving is also central to Yurok crafts, and the rounded and geometrically patterned basket hat she wears is typical of this culture. As is legible in the image, the woman shown is Lucy Thompson, who in 1916 published the book To The American Indian: Reminiscences of a Yurok Woman, with the intention of preserving her people's culture and experiences and enlightening white settlers, to one of whom she was married. It went on to receive the American Book Award some decades later. Things have gone quiet on the Folk Ark corral while I've been travelling this week, but it would be a poor start to the weekend indeed without a strong look to kick Friday into gear. Today it's a magnificent Shipibo woman with her face adorned by characteristic Shipibo patterns, a septum ring with metal disc and multi-stranded choker beads. The Shipibo are indigenous to areas along Perú's Ucayali River and through gradual intermingling with another indigenous group, the Conibo, are now properly known as the Shipibo-Conibo people. Some of their more renowned traditions include ayahuasca shamanism and the creation — by women — of beadwork, textiles and especially pottery decorated with graphic, labyrinthine patterns in white, red and black. Textile patterns can have much wider colour variation. Young Shipibo girls are initiated into the creation of the patterns by their female relatives, who squeeze drops of juice from the berries of cyperus articulatus (piri piri) into the child's eyes so that she will be able to envision the designs. Various possible interpretations of the designs include their being a mapping of Shipibo cosmology; stylisations the skin of the anaconda, an animal sacred to them; representations of a fundamental energy field revealed during ayahuasca ceremonies; or a mapping of the Amazon River system. In any case it seems safe to say that the patterns are strongly linked with Shipibo beliefs on the cosmos, the importance of balance to human and environmental health, and the visions revealed to them through ayahuasca ceremonies. Hello and welcome to Fierce Friday, designed to kick off your weekend by celebrating the universal language of strong looks. I think you'd have to agree that our first fierce face is pretty well up to the task: this impressive human is a Yazidi man photographed in about 1930. He sports the characteristic Yazidi braids and moustache, which men are forbidden to cut; under his shirt would be a gerîvan, an undershirt with a round neck opening whose white colour is an important symbol of purity in Yazidi culture. The Yazidi are an ancient Kurdish religious group whose beliefs resemble aspects of Zoroastrianism, Mesopotamian and other neigbouring religions but are in many respects unique. Yazidism is monotheistic, believing in one creator God who entrusts the world to seven holy beings or Mysteries, of whom the most significant is Melek Taus, the Peacock Angel. Because the Yazidi believe themselves to be direct descendants of Adam alone, they do not intermarry with other cultures and do no accept converts, in order to preserve this line. Though traditionally concentrated in Iraq's northern Nineveh Province, large Yazidi communities have existed in Armenia, Syria, Turkey, Georgia and now, increasingly, in Europe, following heavy persecution in their native lands. Image via La Petite École on Tumblr. In putting together yesterday's Round-Up I had an exploratory rummage through Shiprock Santa Fe's selection of contemporary bangles and cuffs and was blown away by the stunning and unique pieces in their collection. So much so that for fear of dominating the whole egalitarian round-up concept, I'm just giving them their own post! Here are more than a few I can't stop looking at. With Mediterranean Coral and Turquoise Set in 14k Gold Bezels. From San Felipe Pueblo. With Spiny Oyster, Lapis Lazuli, Jet, Mother of Pearl and Turquoise. From Santo Domingo Pueblo. Sterling silver and 14K gold. Navajo. Sterling silver and turquoise. Navajo. Sterling Silver. From San Felipe Pueblo. With turquoise and coral. Navajo. With 18 Carat gold arrow and two diamonds. Klowa. Silver, coral, turquoise and opal. From Jemez Pueblo. With fossilized ivory, turquoise, coral and wood inlay. Navajo. Silversmithing is relatively new to Native American material culture, and items in Shiprock's collections of Native American jewellery range from late 19th century to contemporary pieces, hand-drawn and forged to machine processed. Each is selected and evaluated by Jed Foutz, the man behind Shiprock and himself raised on the Navajo Nation in a family of art traders. All images from Shiprock Santa Fe's website. The delicate technique of filigree is ancient and examples are found in many cultures. The word itself describes the process, being derived from the Latin filum (thread) and granum (grain), extremely fine pieces of which are worked from metal, usually gold or silver, and soldered together to create exquisite jewels resembling lace. Though filigree used to be an essential component of the jeweller's repertoire, it has in modern times become a speciality, and an endangered one at that. Fortunately, some dedicated jewellery houses are working to restore the popularity of filigree, highlighting its long history and now specialised nature as one of its desirable characteristics. Two such houses are Kokku, whose founder hails from Sardinia and with his wife, intends to preserve that culture's rich artisanal filigree work; and Luis Mendez, who with his brothers Raúl and Jerónimo were trained by their father, also called Luis, and are carrying on a business begun by their grandfather in the Spanish filigree tradition. A 'kokku' is a Sardinian amulet: a stone, usually obsidian, set in a silver ring and believed to ward off evil. The brand (above) was begun by Ansula and Andrea Usai, born of Andrea's pride in his Sardinian heritage and Ansula's love of the gorgeous traditional filigree jewellery given to her by Andrea. Their concern for the future of a tradition so old and intrinsic to Sardinian culture prompted them to 'preserve by promoting'. Kokku works exclusively with Sardinian master filigree craftsmen in an effort to offer a maximum both of support to the art form and of authenticity to its customers. 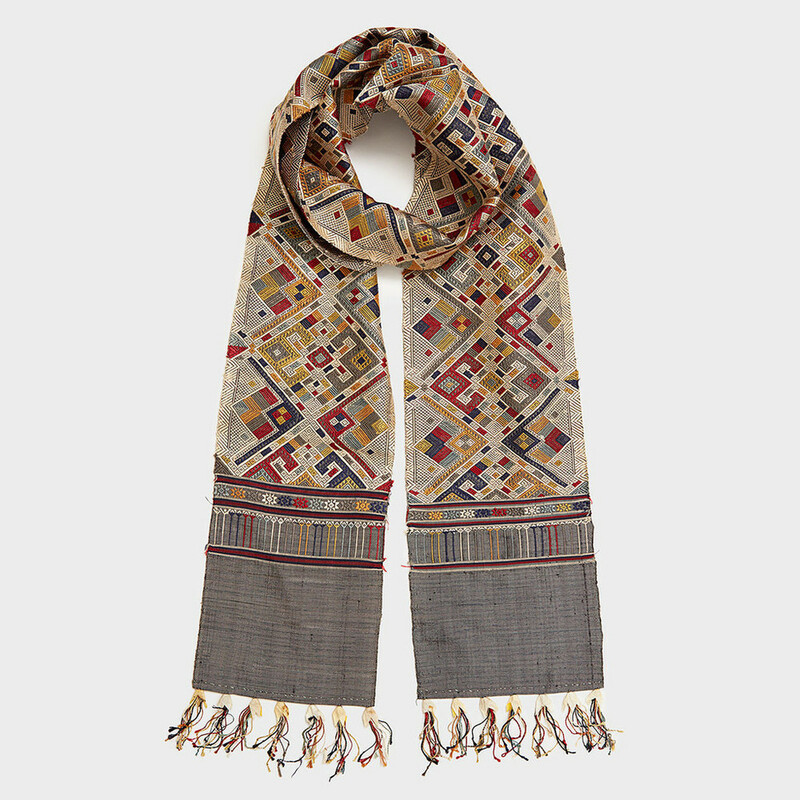 Kokku also minimises its impact on the environment by using mostly recycled gold in its pieces. You can read more about the history and cultural role of Sardinian filigree and purchase items on their website. In the case of Luis Mendez Artesanos, above, Luis and his brothers are the craftsmen and their livelihoods come entirely from the fruits of their workshop in the western Spanish province of Salamanca, where they have also established a gallery promoting the craft. Filigree was practised by the Moors of Spain and further varied and established there by Greek and Phoenician artisans in the 16th century, and the Mendez brothers still take a great deal of inspiration from the jewellery of this period. 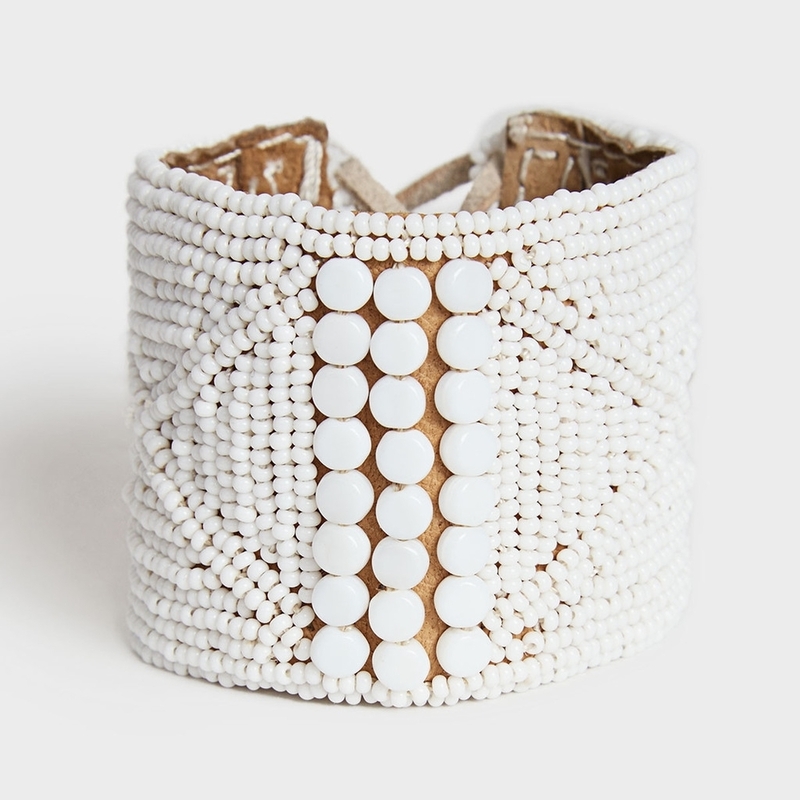 They work in both gold and silver and incorporate pearls and gems into many pieces. You can view their catalogue here and purchase Luis Mendez Artesanos through IFAM Online and Etsy. Images taken from the Kokku, Luis Mendez Artesanos and IFAM Online websites. Mothers around the globe are soon to be acknowledged, hopefully, in a shower of thoughtful gifts, so Folk Ark has rounded up a handful of lovely items of artisan craft from around the internet with which you can bestow your gratitude. If it's the thought that counts then why not think all the way from the maker to the mother. 1. 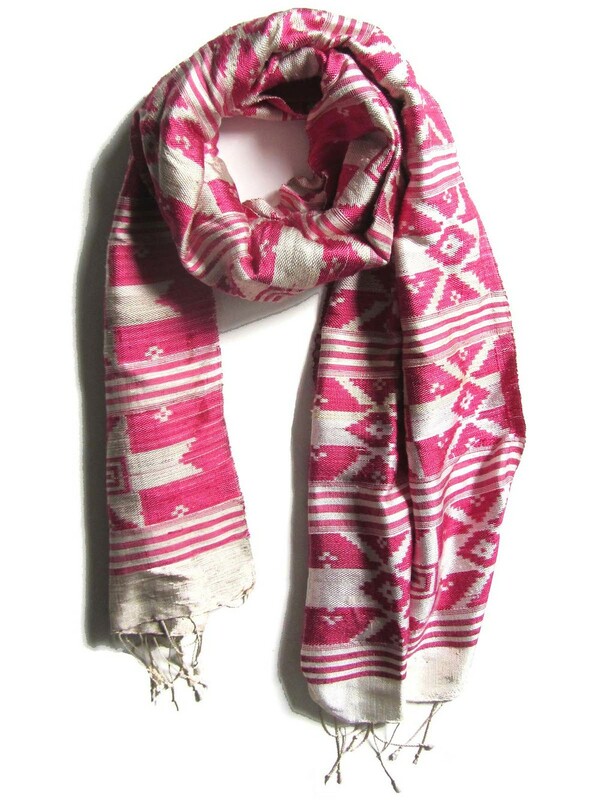 Block Shop, Clover scarf in Coral, India, $120. And in the main image, House of Wandering Silk's Sari Bead Jhumka Necklace in Pink, India, €33. Because there's so much out there to give, more items will be added to Folk Ark's Keep collection until a few days before 10 May so continue checking back for beautiful handmade ways to give back to your mama and your world! NB: Keep currently doesn't accommodate currencies other than USD so always click through to check the actual availability and price of an item. While idling through Pinterest my eye was caught by a woman on a bare catwalk, beautifully decked out as if on her way to a village festival. It turned out to have been taken at Ukrainian Fashion Week in March this year, in a collaboration between local fashion designers and the Ivan Honchar Museum (National Centre of Folk Culture) in Kiev. The aim was to present traditional folk costume in a setting normally reserved for the antithesis of tradition, and so to cast fresh light on its beauty and relevance. Ivan Honchar's website states that up to 20 costumes were displayed, all from different regions of the Ukraine and all authentic folk costume, save for some new wreaths, mended hems and copied aprons. To read some dubious Google translating on the subject and see more images, click here and here. The gorgeous embellishments on all the costumes put me in mind of a woman whose work I'd seen via the always fascinating website of the International Folk Art Alliance. Her name is Anna Nepyivoda and she has been making pysanka, or batik-painted Easter eggs, for 30 years, following on from the women in her family, of the highland Hutsul culture. Aside from making these exquisite traditional gifts, Anna is on a mission to bring Ukrainian folk costume back into the everyday life of her culture and her work now includes embroidery, textiles and leatherwork. Her pysanka and Hutsul embroidery work are available to purchase via the International Folk Art Market Online shop. Though I only just thought to do it, I realise I've been waiting to start this site a long time. I'm not an expert in the field, I don't own a business or work with artisans myself, but on learning embarrassingly late the term 'material culture' I was thrilled to discover that what has fascinated me my whole life has a name, and that so many others are fascinated by it too. 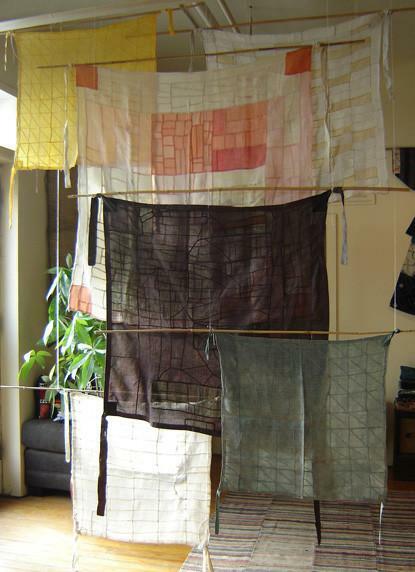 A specific love of textiles had been growing steadily for a couple of years before my husband and I visited Yunnan in southwest China. 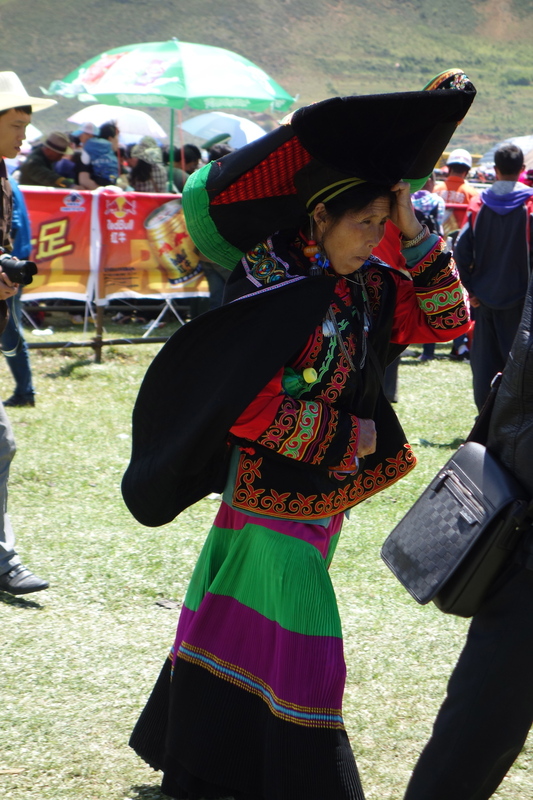 Along our route we saw many beautiful examples of Bai, Yi, Naxi, Tibetan and Han textiles, but so many available for sale were either antique, of uncertain origin or perhaps just blighted by our ignorant tourist paranoia about being sold something inauthentic in a foreign tongue. While I was wary of mass-manufactured goods being marketed as handcrafts, I was also increasingly discomfited by the possibility that people were selling their family heirlooms to survive. Our guide explained that most of the vendors wouldn't see it like that because the skills required to make a new one just the same are still extant; the value with which some cultures — mine being one — imbue the age of an item comes from the certainty that the skills or equipment or need behind its manufacture are no longer current and thus an identical one will never again be made. This idea was reassuring until it occurred to me that in the combined shadows of globalisation and mass-production, those skills would soon wither and die in China too, as in myriad other cultures. I haven't stopped thinking since about the future of traditional craft skills and how I can, in however small a way, help it to thrive. In researching this I have been overwhelmed by the increasing number of brilliant enterprises working to bring the fruits of so many traditional artisans' labours to market, in a way that is fair, sustainable and appealing to a global market. While I would love to join them, my life just isn't set up that way right now. But, have internet, will blog. So, here is my effort: this blog and the directory I hope to build over the coming months is intended as a showcase and celebration of all these companies, organisations, cooperatives and individuals working to keep traditional handcrafts alive in cultures all around the world. In this way I hope to create a hub via which consumers seeking beautiful crafts created authentically and fairly can find and purchase these products with confidence. Please get in touch to participate, suggest or query.